This organic beetroot juice with passion fruit has a deliciously distinctive taste, made with fresh pressed beetroots, passion fruit juice and apple juice which takes away the earthy taste and leaves you with a sweet, fresh flavour achieved without preservatives or additives. 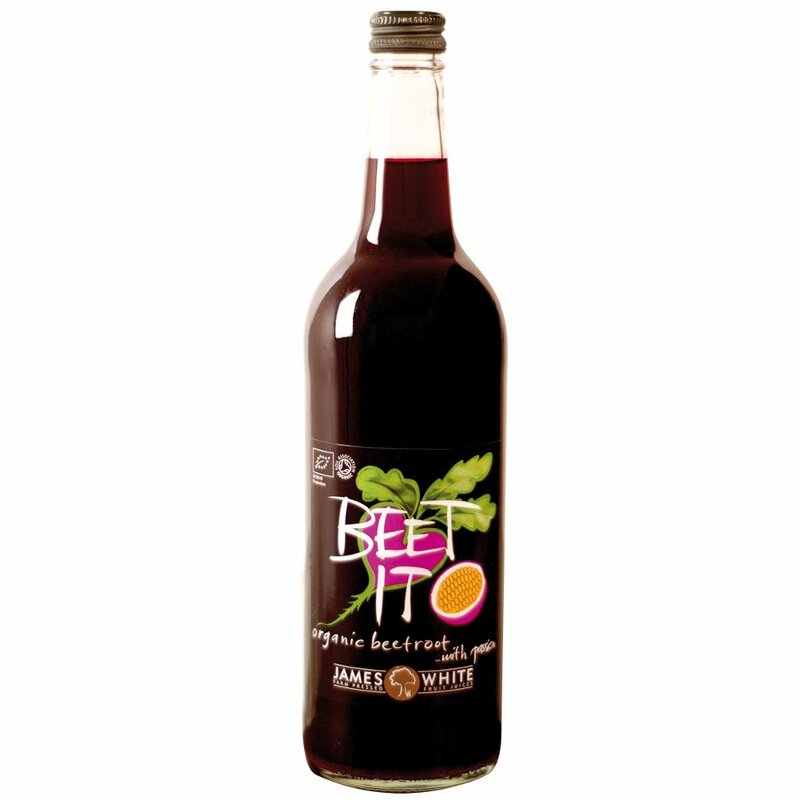 James White Drinks produce a wonderful range of bottled juices and non-alcoholic drinks, from freshly pressed apple juices, to the ever popular Beetroot Juice, renowned for it's ability to help lower blood pressure. Their current range of Beetroot Juice is certified organic by the Soil Association. Based in Suffolk, James White began in 1993 and now runs a steady, successful business, selling deliciously healthy drinks.